Murals, mosaic projects, banners, and many other more unusual projects can be found here. Community arts can assist in uniting communities as they work together, enriching the fabric of their community by sharing, learning and discovering with the assistance of Perth artist, Irene Osborne. In this way often local issues and concerns are resolved, as people build self esteem and pride through the project. This can also result in promoting the heritage or identity of a place or region, enhancing tourism and boosting the local economy. If your community would like to consider addressing local issues through the fun of a community art project, contact Irene. She has the experience of a wide variety of projects already undertaken in remote, regional and urban locations across W.A. and of working with people or all ages and backgrounds. 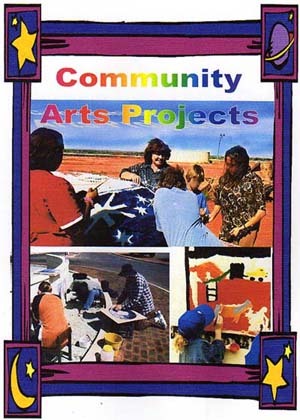 Discover how banners, murals, mosaics and other projects can enrich your Western Australian community.